This article from Tony Davis describes how to the use the Redgate SQL Compare and SQL Data Compare GUIs to get the current version of a database schema, and its static data, into version control, and then automate database deployments from the version control system using SQL Compare’s command line and PowerShell. Tony Davis on why the dusty corners of many organizations still hide numerous SQL 2005 instances. Backing up MongoDB is akin to backing up SQL Server databases with a Windows tool such as Microsoft DPM. It removes almost all control over the database backup, and more critically, the database restore operation. You need a SQL Server-based application that will work with huge amounts of data and must perform calculations of startling complexity. How far will you go to deliver the required performance? A document search on a billion row "EAV" table is predicted to take 134 days. With a few design tweaks and an efficient relational division algorithm, Peter Larsson got it down to milliseconds. 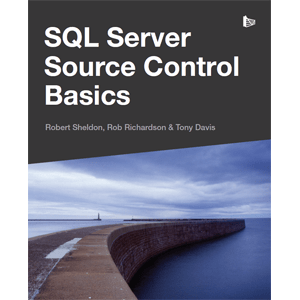 MidnightDBA and Red Gate have joined together to produce a new book on SQL Server, written by 15 first-time authors. 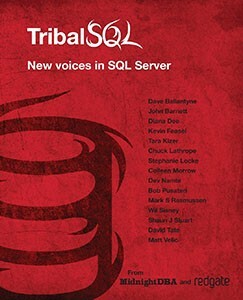 The resulting book, TribalSQL, includes everything you should know about SQL Server that isn’t taught in traditional training, they call it Tribal knowledge.